You should know my rig is fairly capable. You rode with me up most the old hills years ago there in old Blue. Does Vaughn or Tim go out with you guys? If you decide to go wheeling in Poteau give us a call at Extreme Offroad (918)-647-4988 we can usally get some of the local crowd to go as long as your rig is capable we dont run a winch service on the hill we go there to wheel thanks,Todd. 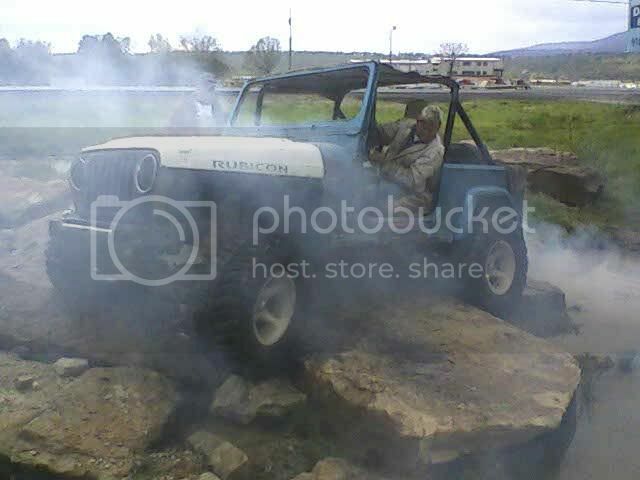 Own and operate a offroad shop in Poteau,4800 sq.ft shop. Put right in the middle of offroad country. CTD NUT:Going full retard with a welder will not gain you any respect on this forum. 08:25 PM - scubajeeper quoted extremeoffroad in post Anybody wheeled Poteau lately?